Snow in April is just plain criminal! Yea, yea, I know, I live in Newfoundland and I shouldn’t expect anything different. The problem is not the cold in April, it’s the overall length of this brutally long winter! Which for us landed early in December and has stayed and continually dumped pile after pile of snow on us! Carrying in load after load of wood (5 cord for us) and shoveling snow day after miserable day. It’s just been too much and we’re all ready for a break and given the month of the year – A LONG BREAK! We need a heat wave and we need it NOW! 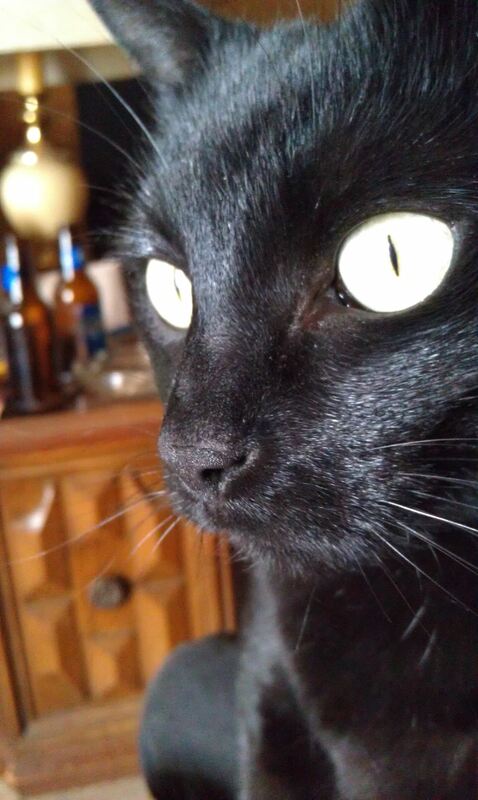 Just ask my black cat Shadow who stares wistfully out the window day in and day out. Spring cleaning isn’t spring cleaning until the windows can be thrown open and clothes hung out on the line. I’m ready for it and I’m waiting for it, but I’m losing my patience! ← Eastlink vs Bell Aliant….